With antennas, it’s not about the feet and inches (or meters), think in terms of wavelength. Don’t worry about the orientation of a dipole when it’s less than a half wavelength above ground. In multi-multi contesting and big gun DXing it’s often more a battle of bank accounts than operator skill. You’re going to go through several phases in your radio artisan career. Don’t spend too much money until you’re sure you like the phase you’re in. Don’t gauge your success by the number of awards you have on the wall. Your money is better spent initially in antennas than amplifiers. When you have the best antenna your budget and lot will accommodate, then go for an amplifier. There are good CBers and bad CBers. More amateurs than you think got started on CB. There are jackasses in amateur radio. You cannot identify them by license class, age, years licensed, call area, operating mode, education, or income. When the bands are open any goofy antenna will make contacts. People will think this makes a goofy little antenna a good antenna. Not so. The perception of amateur radio that the general public holds is much different from the perception within amateur radio. We’re in a strange, esoteric and sometimes archaic hobby that most of the world doesn’t understand. Welcome to our secret society. It’s not that extra one or two dB that makes the difference, it’s the first 50 dB that really matters. Girls actually dig letters written in Morse code while you’re dating. Save your money and buy a crank up or tilt-down tower. You can operate anywhere you live, no matter what the restrictions. About any piece of metal can be loaded up with a tuner. You buy an HF quad only once. Low SWR doesn’t mean it’s a good antenna. Dummy loads have a low SWR. Don’t get your start on 2 meter repeaters. It’s not difficult to become a proficient operator. It’s listening and learning that people often find difficult. You need to listen to what others who are successful do. Homebrew it, even if you’re not some master electronics designer. When building equipment, don’t worry about not being a EE or building the perfect circuit. Don’t bother making printed circuit boards, you can build just about anything you want Manhattan style. Experiment. You will learn more from your building failures than your successes. Don’t fall in love with one brand of radio. Don’t limit yourself to one mode. Join a club. Do what is fun and what you want to do in the club. As soon as others tell you what you should be doing, it’s time to leave. When being involved in a club feels more like a chore, get out. If the club is on life support and you can’t revive it in three years, pull the plug. Move on. Don’t look back. QRP isn’t difficult. It requires persistence and patience….and knowing when to go QRO or when to QSY. Life’s too short to argue with enlighten people who say life is too short for QRP. If you are in a club you don’t like and you want to leave that club to create a new or rival club, list on a piece of paper why you don’t like that club. This list is why you shouldn’t start a new club. Don’t do CW because you want to impress others. It’s never what you don’t know that bites you, it’s what you don’t know you don’t know that gets you into trouble. 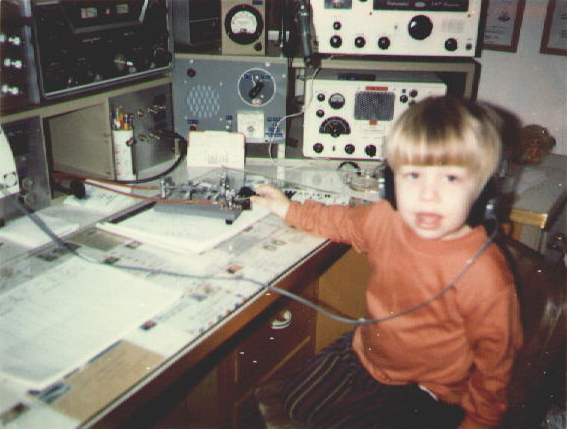 In amateur radio do what you like, like what you do. You’re in a great hobby for life. If this is your list then I salute you. This is a very good list. I’ll print it up and hang in my office. “Those that don’t want on HF don’t get on HF”. It is more related to those that complain and whine about being in a restricted community, apartment, etc. 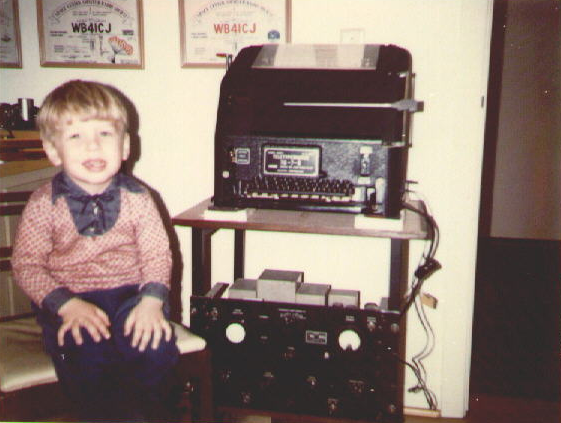 When I got my general license I could not wait to get on HF. I took a random piece of wire and threw it outside of my office, over the railing and down to the first floor of my home. All this was inside the house. I made a few contacts doing that. After that success I bought some eye screws and ran a loop in my attic around the perimeter. I don’t know how long it is, but my tuner deals with it and I’ve made hundreds of contacts with it. I like the statements. Thanks for bringing it back into our memory. Mmm how did you read my mind? Would you mind telling me what power you ran with the wire? Although I’m already receiving some Signals in most modes, I seem to be having trouble making contacts. I also thought it was because of my “one window only” appartement. I ran at most 100w SSB. At that point I did not know CW. Now I run about 20w in my attic loop. With CW and an indoor antenna like that I am forced into QRP levels to keep RFI out of stuff around my home. Forced is such a strong word since I enjoy it anyway. So many folks provide so many problems (excuses) why they can’t get on HF. Look, if you really want on HF you’ll get on HF.